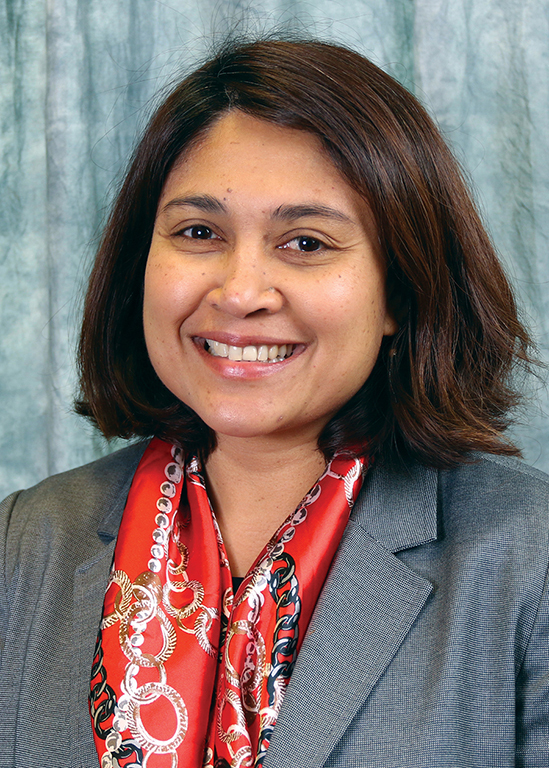 Dr. Nishadi Rajapakse is a program director in the Division of Scientific Programs at the National Institute on Minority Health and Health Disparities (NIMHD) at the National Institutes of Health (NIH). At NIHMD, she directs the Transdisciplinary Collaborative Centers for Health Disparities Research Focused on Precision Medicine (U54) initiative, NIMHD’s first venture into the field of precision medicine (PM). This is a unique focus on understanding the complex interplay between biological, behavioral, social and environmental factors in developing new diagnostic or therapeutic approaches. In 2011, she led a new collaboration with the U.S. Environmental Protection Agency (EPA) on a novel pilot initiative to establish environmental health disparities (EHD) cores within existing NIMHD Centers of Excellence (COE). Currently, she leads the Centers of Excellence on Environmental Health Disparities Research Program. This initiative is a joint undertaking with NIEHS and EPA to better understand environmentally driven health disparities and improve access to healthy environments for health disparity populations. In addition, she serves as a Program Official for the NIMHD RO1 program, and the Research Centers in Minority Institutions (RCMI) program. Dr. Rajapakse received her PhD in Molecular Medicine & Translational Sciences from Wake Forest University where her research focused on traumatic brain injury in adults and newborns and targeting mitochondria in developing therapies to hypoxia-ischemia induced sequalae. She completed her postdoctoral fellowship in genetic epidemiology at the National Institutes of Environmental Health Sciences (NIEHS) where she examined genetic and environmental risk factors in the development of cardiovascular disease, sepsis and rheumatoid arthritis. Dr. Rajapakse also holds a Master’s degree in Clinical Research from Duke University. She has published more than 25 peer-reviewed articles in biomedical journals and served as a guest editor for The Journal of Health Care for the Poor and Underserved.